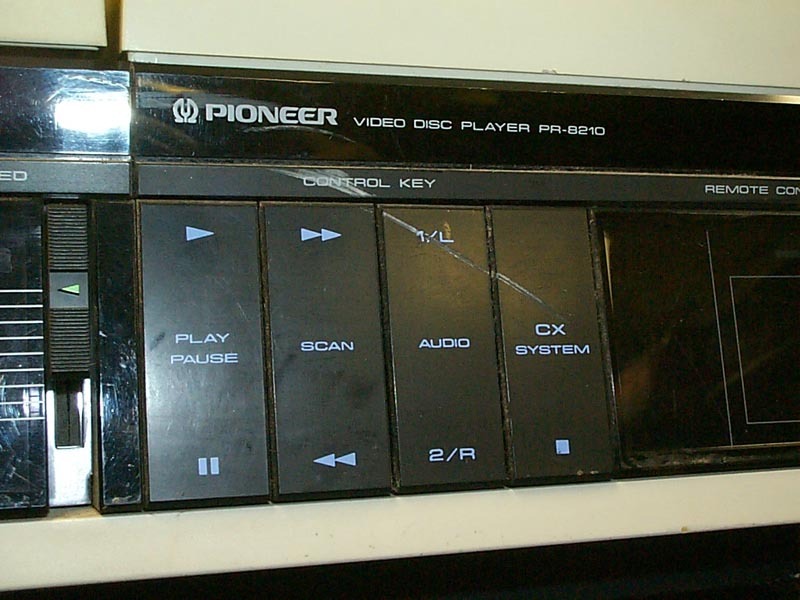 There has been some confusion in the past about these two laserdisc players. Though they are very similar, there are some differences in how these two players communicate with the games. 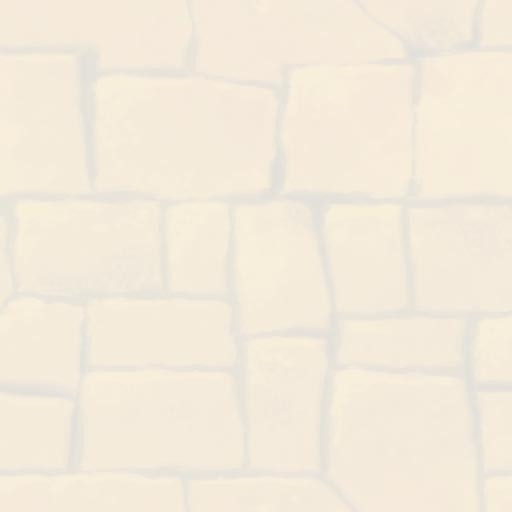 Below are pictures of the players and a description of their differences. The PR-8210 and PR-8210A look very similar. Same size, same shape, same color, and same front panel. 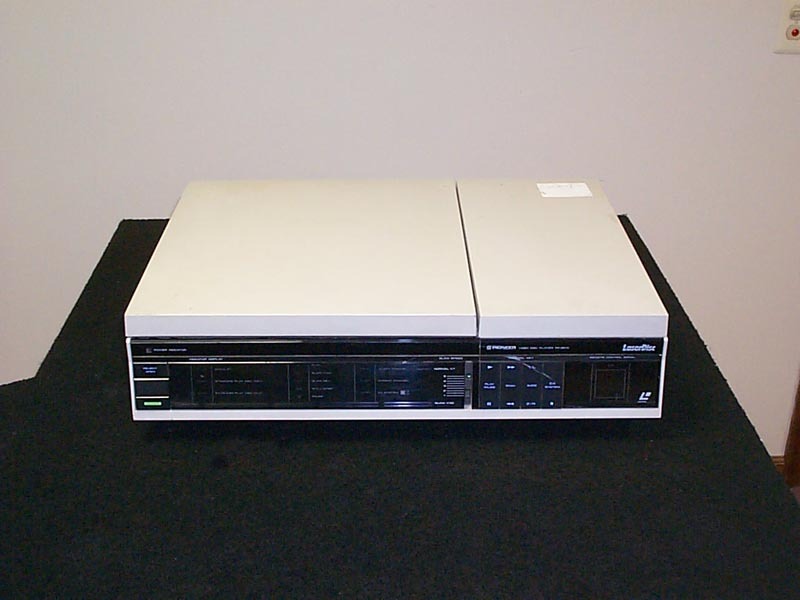 Both the PR-8210 and the PR-8210A have identical features. Both players also have an IR Interface for a wireless remote control. 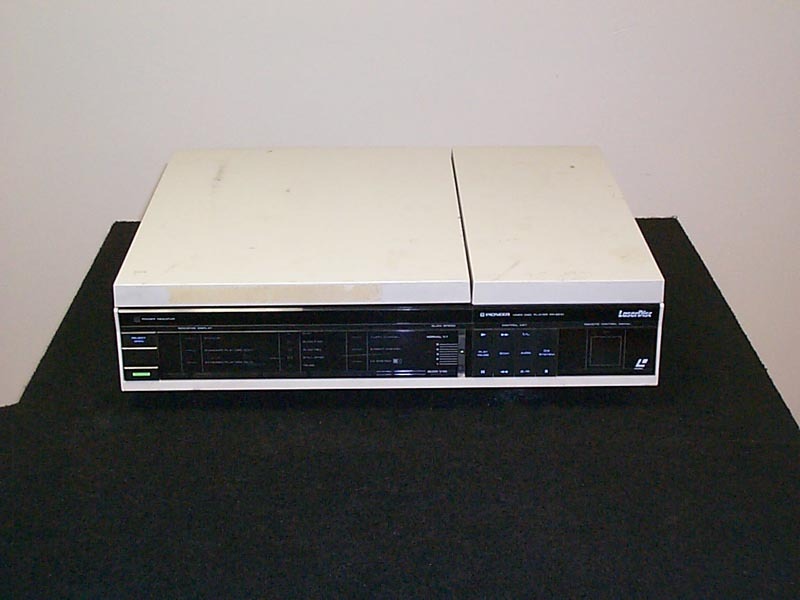 Some of the PR-8210A's were not even marked with the "A" making it hard to tell if you have the PR-8210 or the PR-8210A. The differences are on the back panel. The PR-8210 has L/R AUDIO OUT, 1/8" CONTROL JACK, VIDEO OUT (Coax), ANTENNA IN, (Coax), VHF OUT (Coax), and a channel 3/4 selector switch. 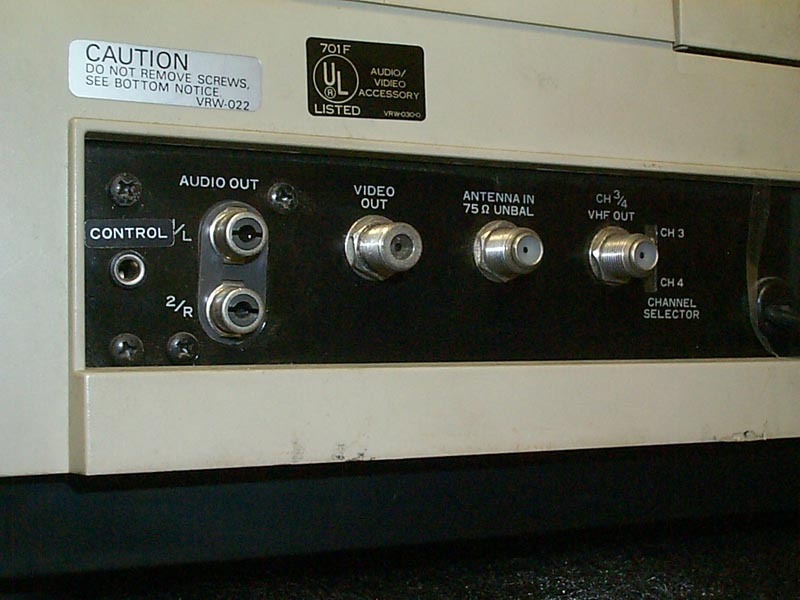 The PR-8210A has L/R AUDIO OUT, 24 PIN MALE CENTRONICS CONNECTOR, and a VIDEO OUT (BNC). The main differences between the two LD players are the way they communicate with the games. Since the PR-8210A does not have the 1/8" CONTROL JACK, it must use the 24 PIN MALE CENTRONICS CONNECTOR for communication. NOTES: M.A.C.H. 3, Us vs. Them, and Quarter Horse will only work with the PR-8210, communicating via the 1/8" CONTROL JACK. 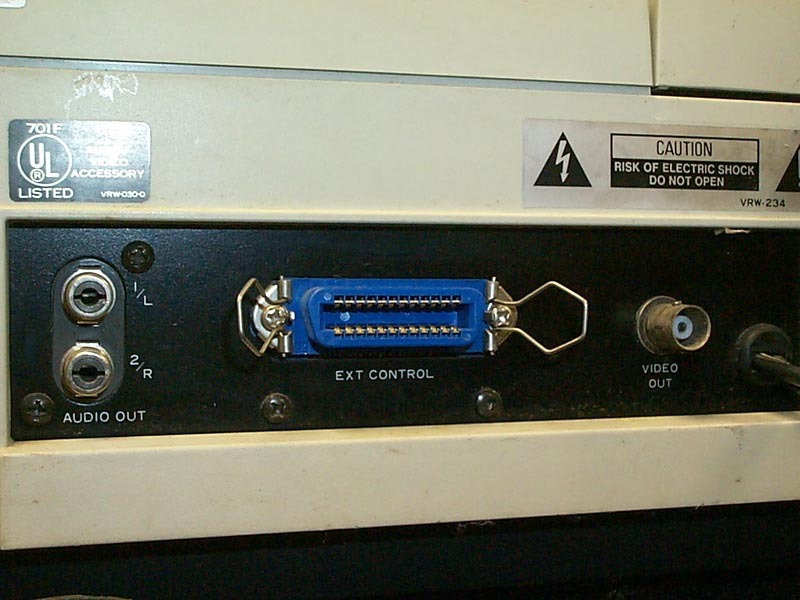 Star Rider will only work with the PR-8210A, communicating via the 24 PIN MALE CENTRONICS CONNECTOR. Cliff Hanger and Goal To Go can use either laserdisc player. With the PR-8210, Cliff Hanger and Goal To Go would communicate via the 1/8" CONTROL JACK. With the PR-8210A, Cliff Hanger and Goal To Go would communicate via the IR Interface. For info on how to modify your game to use the IR Interface, check Rob DiNapoli's Laserdisc Conversion page. For info on the Pioneer PR-8210 Command Set, check the 8210 Command Set page.